I started Local Vanguard while attempting to explore and learn about Christchurch - a city that I was to make my home for the next few years. I identified an opportunity to help promote a side of Christchurch that I believe is undersold...especially when comparisons are made to life in much larger cities. Christchurch may be small, but it has a mighty and growing presence of creative and unique cultural offerings. There's much more than meets the eye, here in the ol' Garden City. You may just have to dig (or chat up some locals) to find it. It's been my pleasure to do just that over the course of the last few months. I've hit the streets, spoken with shop owners, asked loads of questions, and discovered many of the local hot spots. And I know there are even more attractions to be found. However, my direct involvement in producing stories for the site must come to an end, due to an unexpected move back overseas. This has been a truly rewarding project for me to have taken on. I have had the privilege of meeting and listening to many interesting characters and have attended some fantastic cultural events. The people I have met are passionate about what they do, and their work/hobbies help create the kind of unique offerings that make a city distinctive. I'm grateful for the amount of positive feedback from locals and the quick popularity of the site. I am also very appreciative of the help of friends, who pointed me in the direction of some of the city's long-standing local gems. Furthermore, I am optimistic about the growing momentum of positive and creative happenings that I have observed taking place during my time here. I believe this city is on the cusp of an exciting cultural upswing. I am hopeful that Local Vanguard will continue to be a part of this movement, through the involvement of local contributing writers. If you are interested in contributing or just curious as to how to be involved, email us. It doesn't have to take a lot of commitment by one person if we all chip in - just photographing and writing about the things you are already seeing and doing. Email us at localvanguard@gmail.com. DINZ Designers Speak Series comes to Christchurch this Thursday. The event will host a line-up of speakers from three design studios, each sharing insights on what makes their studios tick. Speakers include Steve Le Marquand from interactive agency Resn, designer and typographer Catherine Griffiths, photographer Bruce Connew, and Dean Poole from Alt Group. If you love design, this is an evening not to be missed. Design led conversations like these are few and far between in our fair city, so spread the word and come along. For further information and ticket purchasing options click here. When did you start the site and what motivated you? Even as a kid I really liked old buildings. There seems to be a charm about them that is not captured in today's modern structures. I can still remember in Wellington, where I grew up, seeing the large warehouses with advertising painted down the sides for various products from times past. These old buildings had a charm about them then, and even more so to me now as time has gone on. I see something special in a building with a really well-painted, large, weather worn sign. I guess its about the scale, size, and the hand crafted nature that attracts me. I also really love old type and its many forms. 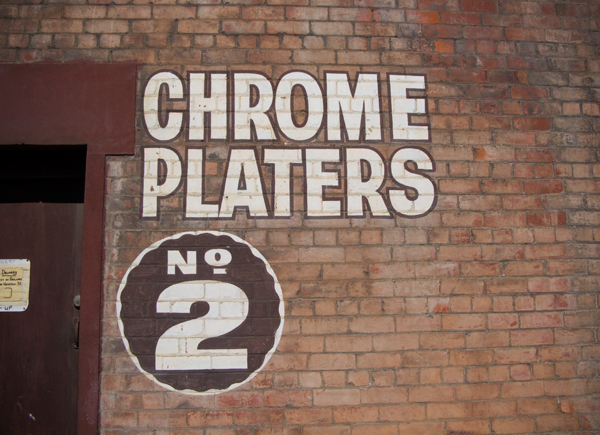 I started photographing signs on buildings about 4 years ago. 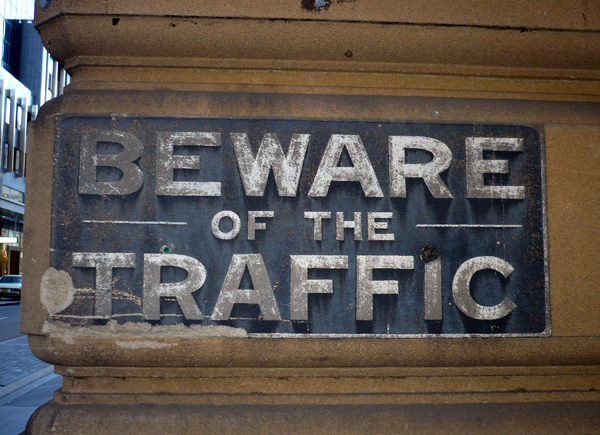 The first sign was in Sydney and was a simple sign that read 'Beware of Traffic'. I remember thinking, when a saw it, that it wasn't only interesting because it was wearing away, but because it was a hand crafted creation - a work of art in itself. After taking that shot I began to build up a library of shots mostly from New Zealand. Initially I was keen to put them into a book but thought I'd start with a website. And that's how Preserve was launched, just over a year ago. What do you enjoy most about doing the site? I guess there are two aspects which are linked. First, I really like the idea that Preserve is somehow capturing a fast disappearing craft. There aren't too many signage guys nowadays that hand paint signs (although there are still a few around that can do an 'old school' sign). Today, most signs are computer generated type, made of plastic, which don't have the same old-world aesthetic charm. And secondly, in some small way Preserve is archiving some of New Zealand's visual heritage, as it disappears right before our eyes. Where do take most of your photos/how do you find the material you shoot? Most material I have shot has been in Christchurch. 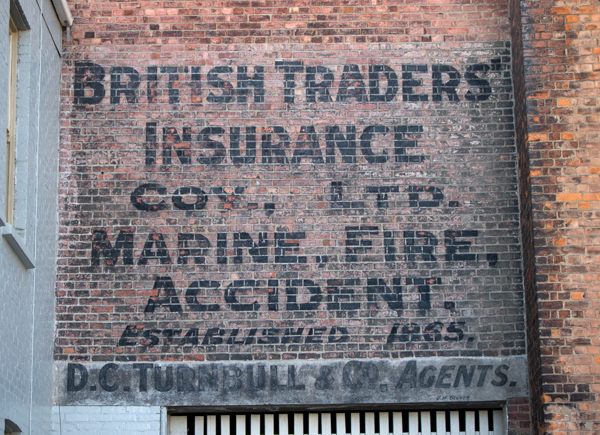 To date, there has been plenty of old signage to photograph here and it is also where I live. Having said that, I am finding it more and more difficult to find "Preserve-type" signage I haven't already documented in Christchurch and am now going about discovering the not-so-obvious signage. I find the really good ones when on foot - walking around the streets, not looking straight ahead, but really exploring high and low. There are a lot of great ones up high on building facades. I also normally head for the older parts of town, that are a little run down and where building owners may not have done as much upkeep on the buildings. To get some of the shots, I've had to hang out of windows three stories up, have managed to rip my pants climbing over barbed-wire fences, and have been chased by guard dogs. Which is your favorite image at present? I have to say my favorite shot is called 'Use'. It is a part of a larger sign which reads 'Use Tai Tapu Butter', on the back of a building that borders the rail yards in Christchurch. I just like the composition, rich colours, and weather worn look of it. When you aren’t doing the site (or at work), where are we likely to find you? I like the coffee at C1 or at Underground Victoria Street in the morning. I also enjoy having a beer at the Dux or Bangalore Polo Club in the evening. I think the best food in Christchurch is at the Joyful Restaurant on Colombo Street. Fill in the blank - I do this website, because "it's a passion. I do it because I love typography and especially hand painted sign typography. 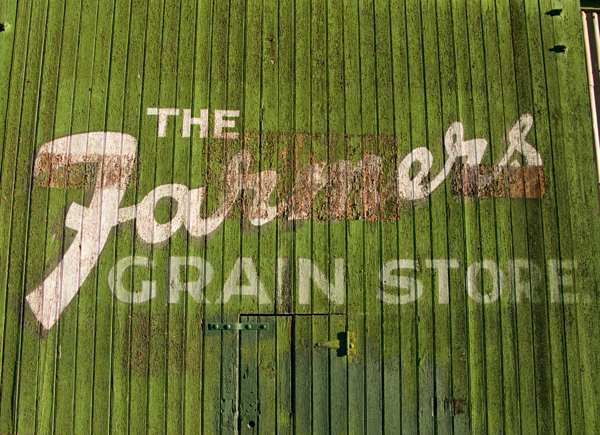 I am always interested in collaborating on project that relate to this forgotten art of hand-brushed type. You can contact me at - mark@preserve.co.nz". To see more or Mark's photos go to the Preserve website. Also, note that Mark plans to soon release a limited edition range of posters portraying some of the large photographs that he's taken of New Zealand signage. You can keep up with the release of these posters through the Preserve website or by emailing Mark at the email address listed above. Fancy a limited edition tote bag for your library books? 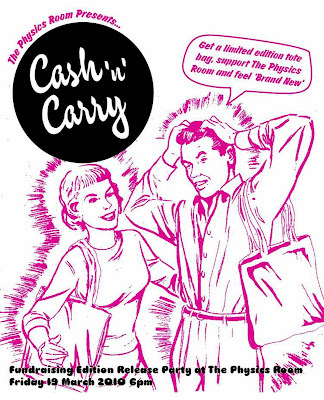 Then head down to the Physics Room tomorrow night for their Cash 'n' Carry release party. Your $30 donation/entry fee into the event, will help support the operation of the Physics Room and their upcoming exhibitions. Plus, you'll walk away the proud owner of a locally designed and printed tote bag! Artwork featured on the bags was selected in a design competition. Chosen works are by artists: Fiona Connro, Jacqueline Fraser, Rob Hood, Sean Kerr and design competition winner Geoff Newton. 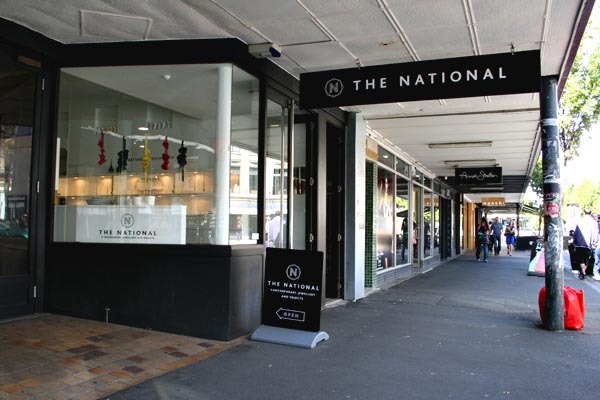 The National is a Jewellery Gallery that showcases and sells both collectible and accessibly priced jewellery by emerging and established artists from around New Zealand, as well as a few international jewelers. It is one of the best places in town to find a truly special wearable piece that will stand out from the crowd. Located on the fashionable block of High Street, between Lichfield and Tuam, The National rotates about ten exhibitions per year of solo or group works. The current exhibition (March 1-27), is by Kay Van Dyk, an Ashburton gal now living in Nelson, who's necklaces make comment on the environmental impact of the farming industry on the Ashburton River and local area. Made of copper, silver, enamel, and found objects, her pieces bear enamel tags making reference to local sayings like "Ashvegas", places, or to birds, fish, and signs of pollution. 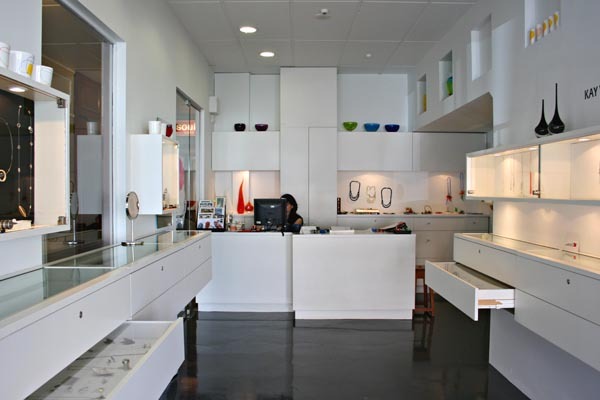 Other artists works currently on display at The National include those created by Christchurch based jewelery artists Elfi Spiewack, Rob Upritchard, and Jennifer Braithwaite - whose floral leather necktie pieces are visible in the gallery's front window (see the image below). What makes The National a noteworthy local spot, is the mission and passion with which gallery owner Caroline Billing operates the space. Caroline is dedicated to providing a stage for jewellery artists, and is passionate about educating people about the value of these artists' craft. "It's not an easy decision to make a living as a jewellery artist. I think if people are aware of the amount of time, work, and talent that goes into creating a brooch or necklace by hand, they will appreciate it as a one-off piece of art." Caroline is lucky enough to work closely with these artists in order to communicate the story, meaning, and technique behind each artists' pieces to gallery browsers and customers. To learn more about the artists currently or previously featured go to The National's website. Make sure to pop though The National before March 27 to browse the current exhibition. Reader's photos are regularly selected to appear on the site. Submit your photos on our Flickr Group. What motivated you to start Christchurch Modern? We were both into architecture, but really became fascinated a few years ago while looking for an office for our design company Sons and Co, as well as when I (Matt) was looking to buy a house. 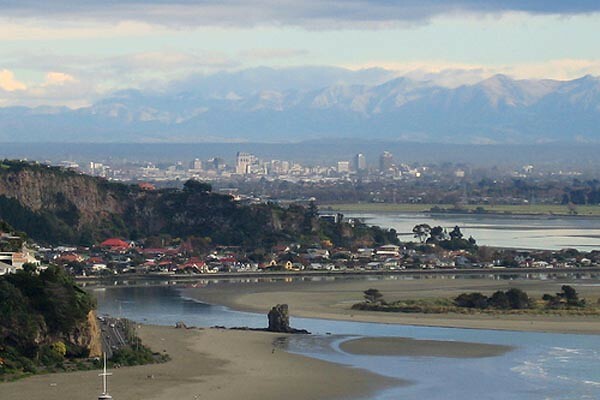 Through these experiences we learned that there were about a half a dozen or so architects who emerged out of Christchurch in the modern era (late 50’s through ‘60’s), that really created a name for themselves, both here in New Zealand and abroad. Also, we learned there wasn’t a public sort of database or way finding out more information about the houses designed by this group of architects, since they were working amongst different firms or independently about town. We also knew that the more documentation, interest, and recognition that these buildings had, the less likely they would be demolished one day (although some have been altered beyond their recognizable features). So we decided to start documenting homes we came accros with a photo and an address and hoped people would start to provide more information. We really didn’t know all that much in this topic area at that point, we were just curious and wanted to learn more. Luckily, that’s just what’s happened....people email us now with information about a house they might see on the site and we’ll update the post with more detailed information. What do you enjoy most about doing the site? Two years into it, we’re not doing as many posts as when we first started. 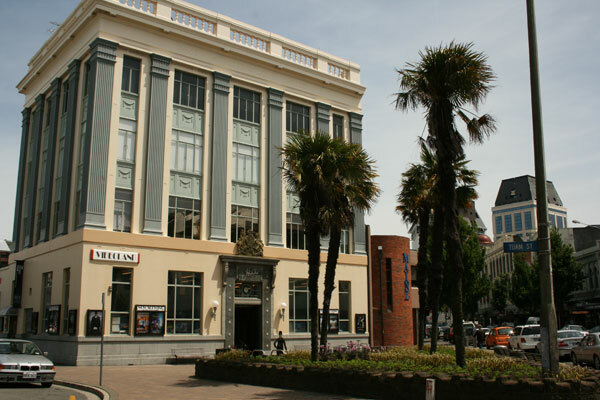 When we started, we were both just fascinated with what we were learning about this group of architects and this time period in Christchurch when it seems the design and arts comunity was really thriving. 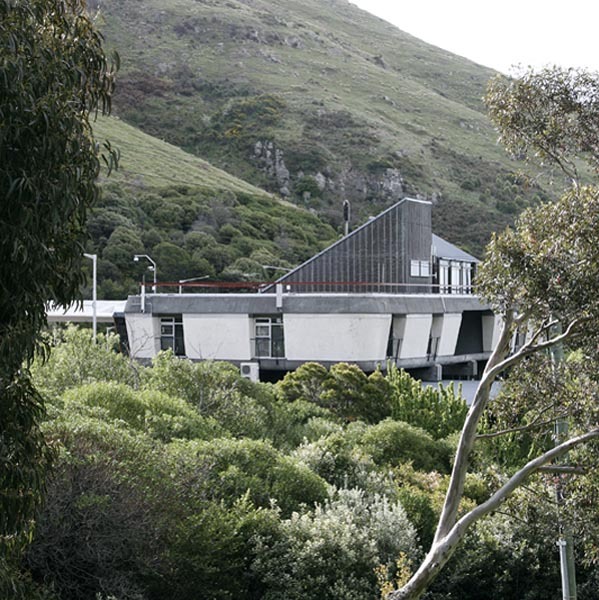 Due to these architects’ works, like Peter Beaven, Miles Warren, Paul Pascoe, and Don Cowey, this was a time when the North Island was looking to the South Island as a leader in design. It was a lot of fun for us to learn more about this slice of history and gain a stronger understanding of the way the city was shaped. How do you approach taking photos and learning about the houses that you feature on the site? Some of our first photos were just taken as we drove by a house or taken over hedges and washing lines. But over time we’ve learned that people who live in these homes are in many cases the original owners, and they are ususally happy to open their doors and have a conversation with us about the house and about going through the design process with the architect. In some ways we think this speaks as a validation of ‘good architecture’. These owners love their homes – they were designed for them, their lifestyles and families, and the homes have really stood the test of time. Most are of an open space plan, north facing, and still work really well today. Which is your favorite building at present? Matt: My favorite is the Lyttelton Tunnel Building, just before going into the tunnel towards Lyttelton from Christchurch. It was designed by Peter Beaven and blends in so well with the landscape. Tim: A Don Cowey house that actually isn’t on our site. We came across it in a video that was put together by Zoe Roland of Canterbury University called ‘Four Houses from Four Decades', which examined one house per decade (40’s, 50’s, 60’s and 70’s) that epitomized the design style of that era. The Don Cowey House was the home chosen for the 60’s, is located in Halswell, and has amazing steel beams. When you aren’t doing the site (or at work), where are we likely to find you? Lyttleton, Coffee Company, Bicycle Thief, Temperance Society, C1...these are all good places we like to hang out. But If you’re looking for something unusual, try Kim’s Chinese on Colombo (this is Tim’s pick). You can order anything there. Also, there is this interesting coffee shop in Heathcote called Upshot, where locals cruise down to get takeaway coffees and just hang out. 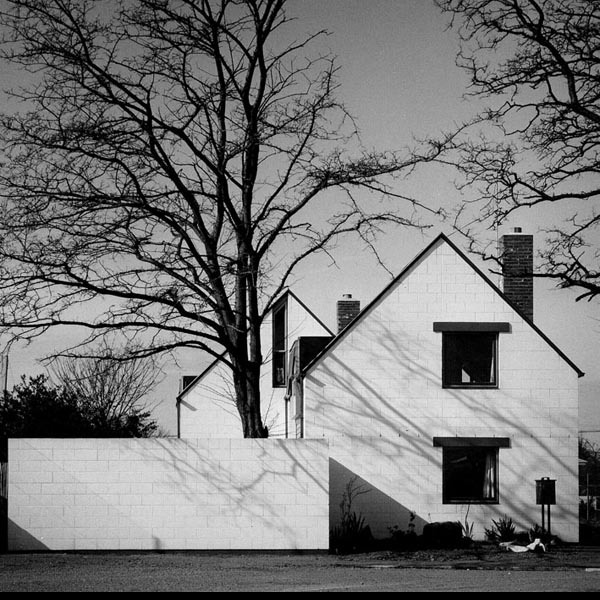 To see more of Tim and Matt's documentation of modern architecture, go to the Christchurch Modern site. To contact Tim and Matt at Son's & co click here. This image was taken at the intersection of High, Lichfield, and Manchester Streets in 1962. The Majestic Theatre is captured on the right. Infinite Definite is a shop on High Street housing some of the city’s most unique fashions. 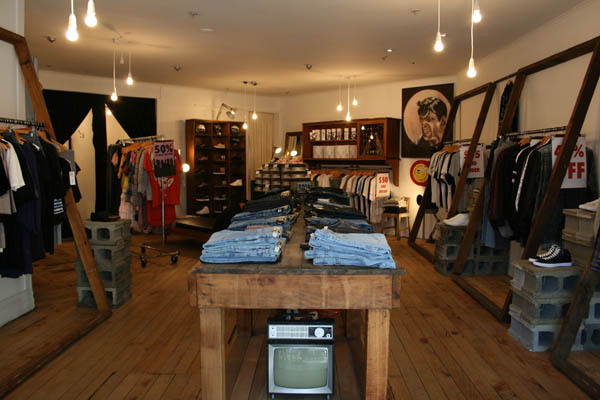 Opened in December 2008, by young entrepreneurs Bob Weatherford and Jono Moran, Infinite Definite set out to create a different shopping experience to what was already on offer in Christchurch. 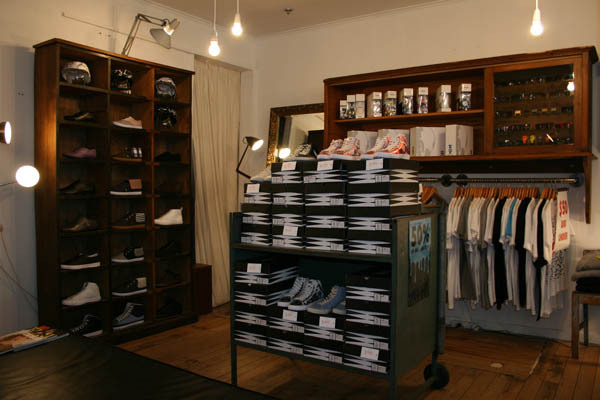 They began with a small concept of carrying a unique mix of independent brands in a gallery type setting. A year and half on, they are enjoying a growing reputation as a shop where one can find a fantastic selection of high quality, artistically driven fashions. 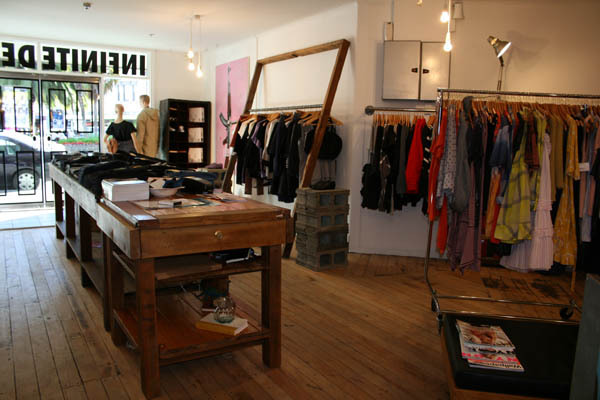 Infinite Definite carries NZ based and international brands such as Karen Walker, Lonely Hearts, 27 Names, and Cheap Monday, as well as Bob and Jono’s own individual ranges, Hype or Tension and Infinite Definite, respectively. Infinite Definite also carries fashionable shoe brands, like California based Keep, and Schmid, designed by the same person behind Alexander McQueen’s sneaker line. Infinite Definite is soon to offer even more, as they prepare to expand the shop through to Lichfield Street in the coming months. Simultaneously, they will open another storefront, two doors down on Lichfield. This separate space, called Dead Seat, will bring another truly unique fashion experience to Christchurch. 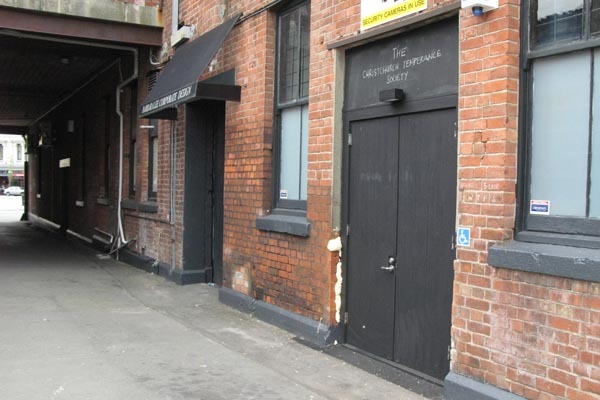 The space will serve as a sort of guerilla pop-up store and gallery, but in the same location. Dead Set will not be open on a regular basis, but rather only for exclusive sale periods of a few days/hours at a time. Sale collections will vary and include preview clothing for the existing Infinite Definite space or for themed sales like the anticipated “Past Tense” sale of collectible vintage and second hand goods. For news and updates from Infinite Definite, including the opening of these new spaces and the launch of their new website, become a friend of Infinite Definite on Facebook. Come out to taste a local wine with a complimentary glass at Christchurch Temperence Society from 5-6pm tonight. The wine, formerly known as Prince Albert, with artistically driven labels and being sold by young entreprenuers at Riccarton Market and at a few local shops, is changing their name Uncle Fritzl's Cellar. Come out to taste the wine and get the dish on why they've had to change their name. 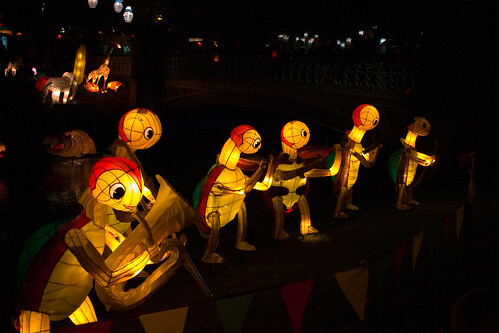 The sixth annual Chinese Lantern Festival will be held this Saturday and Sunday nights (March 6 & 7) in Victoria Square. This event marks the end of the two week Chinese Lunar New Year festivities and showcases of hundreds of intricately designed lanterns, specially commissioned from China. There will also be Chinese food stalls, crafts, and live entertainment by visiting Chinese performers. Here are a few images of the Chinese Lantern Festival from previous years, submitted by Local Vanguard flickr group members Joseph M and Kristin Hartnoll . Click here to see many more on flickr. 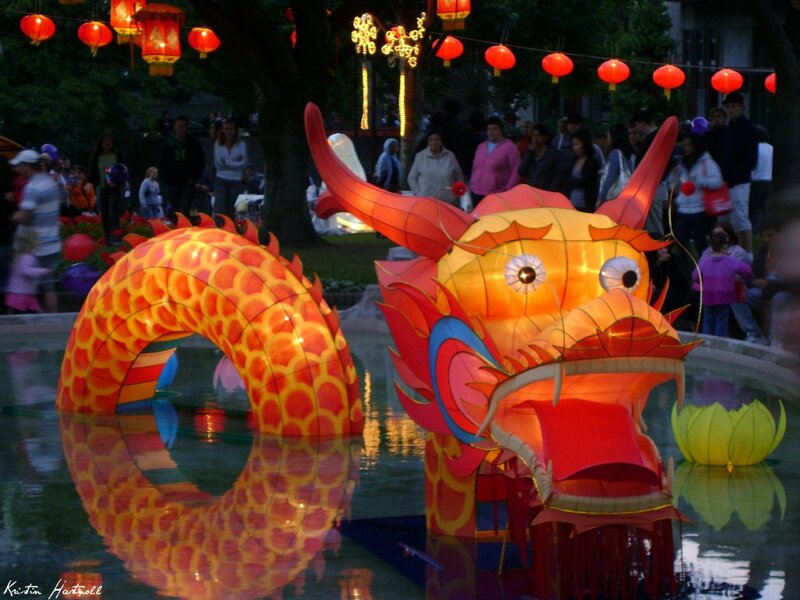 The Chinese Lantern Festival is organized by Asia:NZ. Image info. 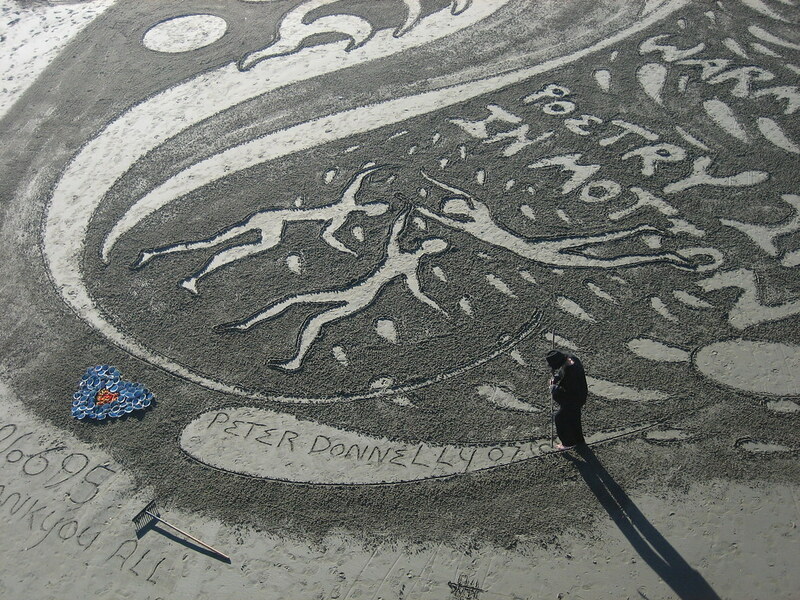 : Peter Donnelly creates art in the sand every week under the New Brighton pier. On my first visit to the Riccarton House farmer’s market, I stumbled across a locally made food good that is truly unique to this part of the world. 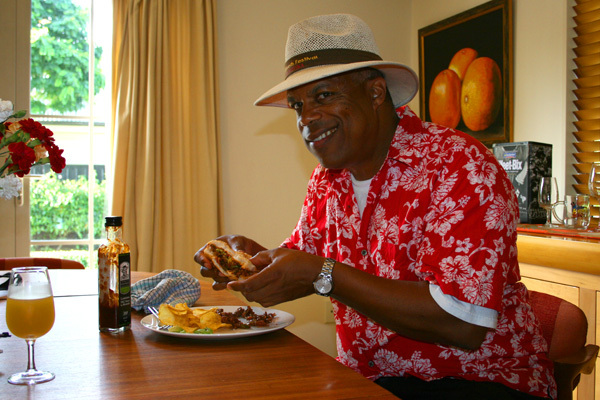 I was immediately drawn to Uncle Vern’s Authentic Louisiana BBQ Sauce and its creator Vern Andrews, a jovial guy who enjoys introducing his sauce to a Kiwi audience. 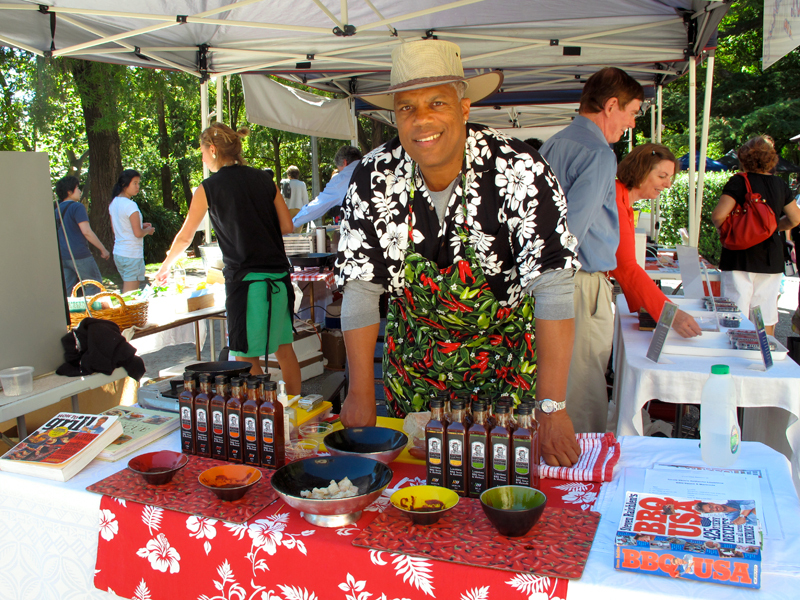 The origins of Vern’s BBQ sauce goes back to Vern’s first year in New Zealand in 1996, when he was hired as a sociology professor at Canterbury University. Vern was also a bit of an experimental cook in his personal time, perfecting a BBQ sauce similar to the kind he grew up eating as a kid in the States. 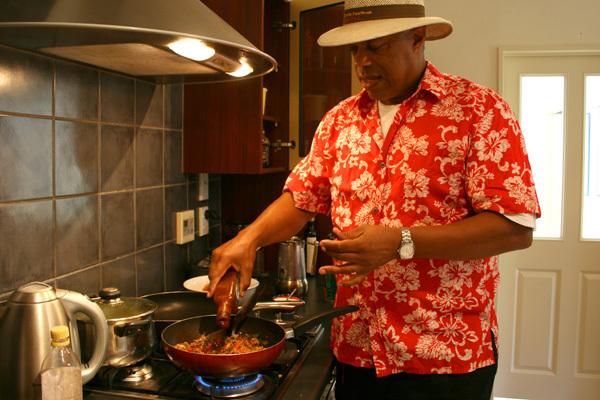 He entered himself and dishes that he created using this sauce into the Blues Brews and BBQ’s Festival during his first two years here, subsequently winning a fourth and second place position. His participation in this event drummed up public interest for Vern to bottle and market his BBQ sauce. However, it took several years for Vern to decide to sell his sauce as a retail product. Uncle Vern's Authentic Louisiana BBQ sauce is killer on ribs, but can also be used for other dishes, like Vern’s Signature Sloppy Joes. A healthier version to the popular American kid’s lunch, Vern’s Sloppy Joes are an excellent quick fix for dinner or, as Vern notes - a great after school snack for the kiddies. Vern recently invited to me over to cook up his Signature Sloppy Joes and to share this recipe with Local Vanguard. This recipe only takes about 15-20 minutes to make from start to finish, and can be made ahead of time and quickly heated up in the microwave. You'll need two medium sized sauté pans. Warm up oil in one sauté pan. Add lean ground beef/mince. Add all-purpose seasoning, garlic salt, and mixed Italian herbs. Stir gradually. In a separate sauté pan (for veggies), add butter, and chopped mushrooms, capsicum, and onion. Allow to sauté and to slightly burn (for more flavor). Check ground beef/mince. Brown until well-done and a bit burned (in order to bring out the flavor), then remove from heat. Add crushed tomatoes and cook on medium heat. Add sautéed vegetables. Add ½ bottle of Uncle Vern’s Authentic Lousisiana BBQ Sauce (Medium). Let mixture simmer. Once liquid is cooked down a bit, take pan off heat. 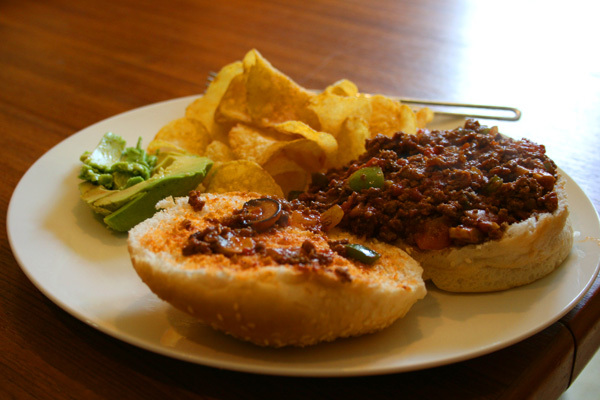 Warm hamburger buns, dish on sloppy joe mixture, top with sliced avocado and/or mozzarella, if desired. Sloppy joes are ready to serve! Vern and I sit down at the table to enjoy these yummy looking sandwiches. Vern states it best, as he looks up after taking the first bite - “Now that’s good eatin’”. Uncle Verns Authentic Louisiana BBQ Sauce is available across shops in New Zealand, including Chirstchurch locations: Cashmere Cuisine, The Pantry on Mandeville, Emma’s at Oxford, Bishopdale Butchery, Elmwood Fine Meats, Torlesse Wines, Verkerk’s, Prenzel, La Traiteur, Gracebook Farms, Peter Timbs Meats, Ground Deli, Talbot Forest, The Good Street Deli. 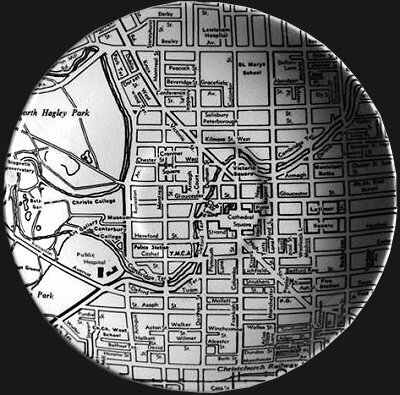 This Crown Lynn saucer and dinner plate were ornamented with a black on white map of Christchurch City. 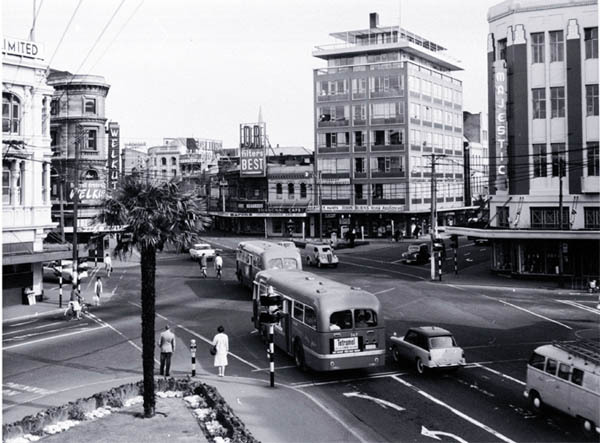 Known as the Down Town series, this pattern (number 452) was produced by Crown Lynn Potteries of Auckland between 1969 and 1972. 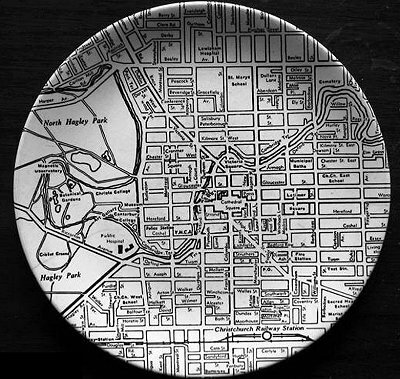 Crown Lynn also manufactured dinner sets featuring maps of the other principal cities of New Zealand. These plates remind us of a modern series of city oriented plateware, produced by a company in New York City called Fishes Eddy. We'd love to get our hands on one of these original gems of local history, as an ornamental feature and keepsake collectible. Handmade Nation is a film that documents the growing craft movement. This region will have a one-night only showing of the film on the big screen on Thursday 4th March at 7:30pm at the Hollywood Cinema in Sumner. This viewing is organized by local crafter Miss Millie in association with local crafting organization Felt. Handmade Nation explores today's craft world as a synthesis of historical technique, punk culture, and the DIY ethos, and its influences in traditional handiwork, modern aesthetics, politics, feminism and art. Handmade Nation is the feature film debut of director, author, artist and curator Faythe Levine, who traveled to 15 cities and covered more than 19,000 miles of the United States to interview artists, crafters, makers, curators and community members. Click here to find out more about Handmade Nation and to watch the film trailer. Tickets are $20 per seat and your ticket price includes a glass of wine and nibbles on arrival. Click here to purchase tickets. 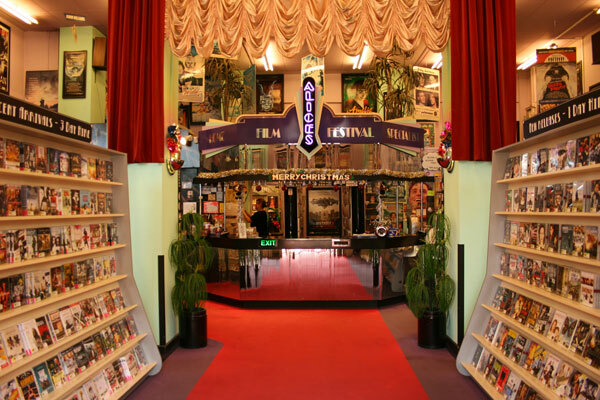 A true icon of Christchurch, Alice in Videoland carries a standout collection of arthouse, foreign, cult, classic, documentary and hard-to-find titles on VHS and DVD. Even in an age in which downloading music and movies is popular, shops like Alice in Videoland are just valuable as ever (if not more so). Every title in Alice in Videoland's library is hand-picked by Alice's movie mavens after rigorous research of film archives, consultation of movie critics, and from valuable recommendations from Alice's customers. Alice in Videoland strives to carry artistically important films and bypasses much of the "cinematic mediocrity and questionable mainstream releases" in order "to focus on the good, the great, the rare and the unusual". Quite simply Alice in Videoland has titles that you can't find in a typical video shop or online, making it a popular spot for true movie buffs and where you will most certainly find a film worth watching. It's treat to pop in and view the selection at Alice in Videoland, but if you're more into having home delivery of movies, Alice offers courier delivery of DVD's as well. Alice in Videoland is located at the historic corner of High Street and Tuam (in fact the corner plot just in front of Alice's is the site of Chirstchurch's first public well). Opening hours are listed below, and further information and a listing of films can be found on Alice in Videoland's website. 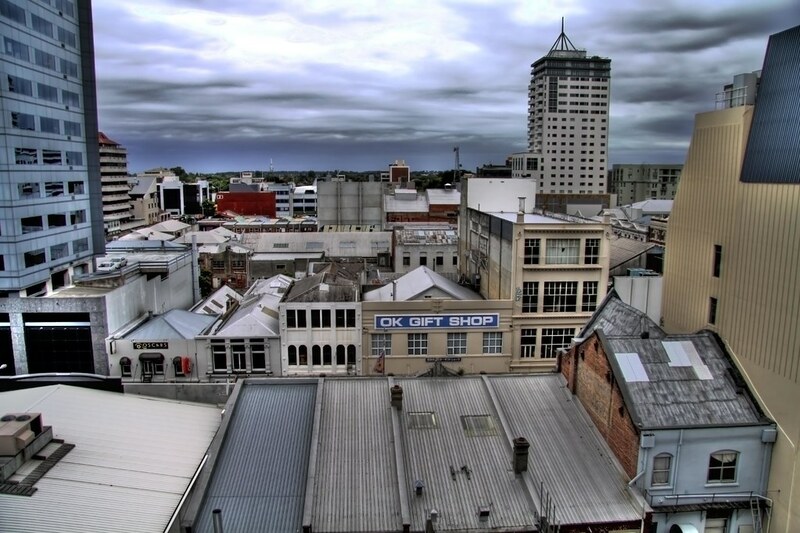 Location: Christchurch City Center's Rooftops, looking east to Colombo Street from a building near Armagh St. and Oxford Terrace.